The work on constructing interconnection between Trans Adriatic Pipeline (TAP) receiving terminal and gas network of Italy’s Snam company will start from Jan.12, 2019, Trend reports citing Italian media. 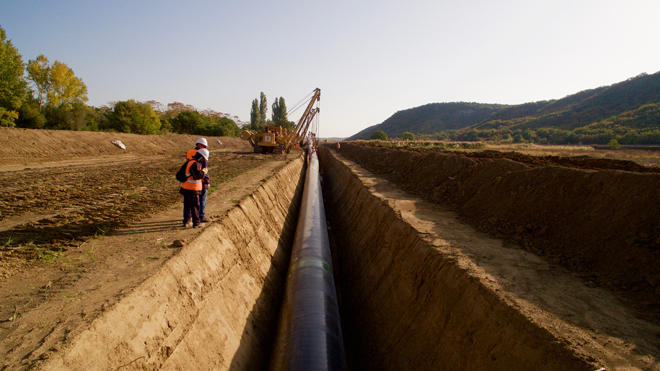 Snam, which is one of the shareholders of TAP, envisaging transportation of Azerbaijani gas to Europe, told Italian media that that in the first weeks the company will carry out exclusively preparatory work on TAP interconnection. The physical construction of the interconnection will begin in February-March 2019, according to the Italian company. TAP Interconnection is the gas pipeline (extending for round 55 Km) from TAP PRT (Pipeline Receiving Terminal) in Melendugno (LE) to the existing Snam Rete Gas network in Brindisi/Mesagne and crossing the municipalities of Melendugno, Vernole, Castrì, Lizzanello, Lecce, Surbo, Torchiarolo, San Pietro Vernotico, Brindisi.